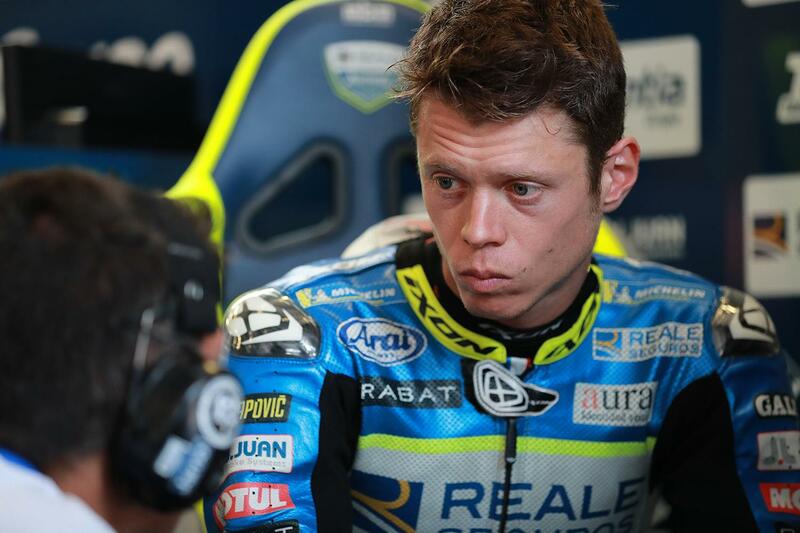 Avintia Ducati rider Tito Rabat is set to undergo emergency surgery tonight at University Hospital Coventry after suffering a badly broken leg during free practice for the British Grand Prix today. The Spaniard was one of a number of riders to fall in quick succession during the session even after the red flag was put out to stop the session, and was struck by Franco Morbidelli’s bike while lying in the gravel trap at Stowe corner seconds after crashing out himself. He was immediately airlifted to the local hospital where he was diagnosed with a broken femur, tibia and fibula in his right leg, and will undergo emergency surgery tonight to begin what will be a long road to recovery. Speaking to the media afterwards, Aprilia rider Aleix Espargaro was able to give a run-down of the crash after getting a first-hand view.